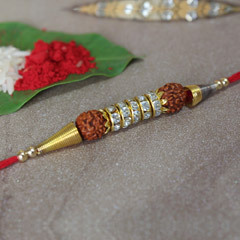 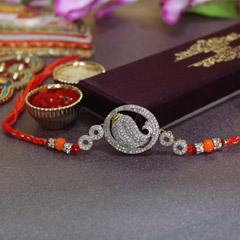 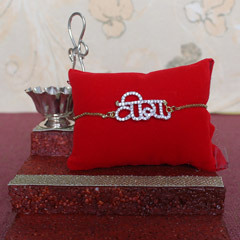 Dazzling shine of red and white stones all around this Rakhi as well as the silver intricate designing of the Om symbol in the middle are some of the best features of this Silver Stone studded Om Rakhi. 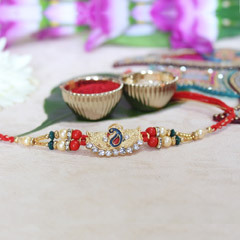 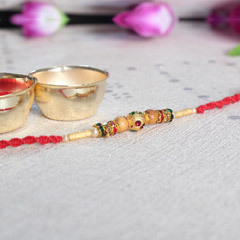 Get this beautiful Rakhi to prettify wrist of brother on this Raksha Bandhan 2018. 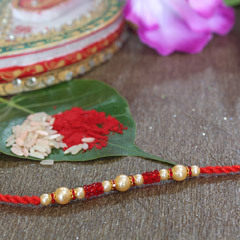 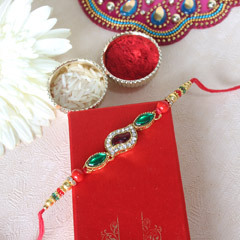 Definitely he will also love to flaunt this beautiful and sparkling Om Rakhi on his wrist as a Bracelet after the festive celebration is over.